As always, Brewer did their research and have designed the first of its kind! 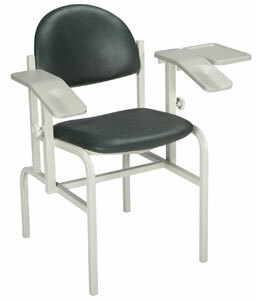 Comfortable, ergonomic armrests make this everday process easier for the healthcare professional and more comfortable for the patient. Plus, they have included standard customizable work surfaces that include a bacteriological, chemical, and fungal resistant material to provide a cleaner and safer work surface. Height Adjustment: 29.5" - 38"